With the onslaught of finals next week, students are stocking up on caffeine and adderall and hitting the books. Looking at the number of filled seats at the library during reading days, one might not be able to tell that University of Miami students study any less than the average college student. However, in its 2016 rankings, The Princeton Review placed UM as No. 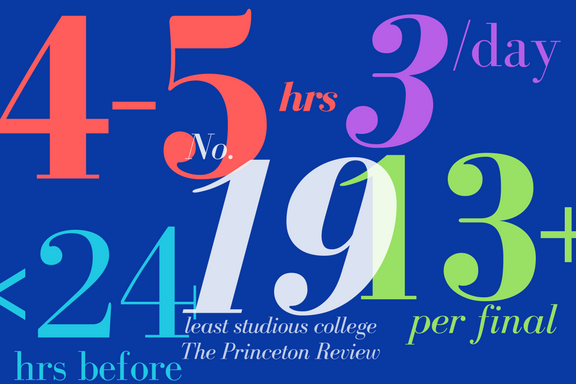 19 on its list of schools where “Students Study the Least.” The ranking was calculated by using responses to the question, “How many out-of-class hours do you spend studying each day?” It was answered by 143,000 students at 381 colleges and universities around the country, and the tallied results hint at the university’s less academically-minded reputation from past decades. For decades, student life outside of the classroom at UM has been vibrant, fostered by the tropical weather – which earned it the nickname “Suntan U” – and city life. Students preparing for finals this semester said they were surprised by the ranking. Kamath said she set aside time especially for chemistry and other science classes, which take about three hours of studying a night. Other students recognized why UM might be ranked on the least-studious list. Senior marketing major Emma Guller said she also plans to study the day before for her finals, which are mostly made up of written responses. “I just don’t care enough to study more than that, as a senior,” Guller said. 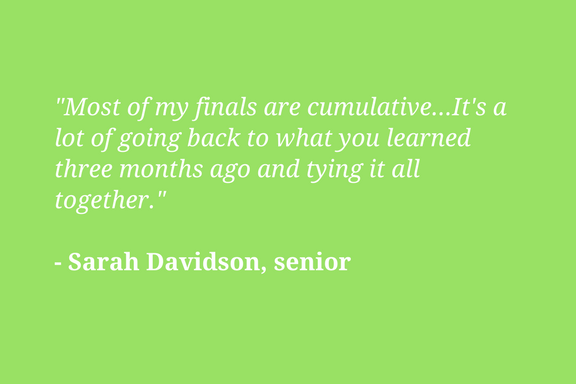 In past years, she said, her study schedule would depend on how her finals were spaced out during the week. Davidson said she starts studying a week in advance, for a total of about 40 hours spent studying for her three finals. “I study most of the day all of finals week. I feel prepared when I go in, but I put a lot more time than most people do,” Davidson said. For junior Alejandro Martinez, who is majoring in finance and marketing, staying ahead of the game is important for his major-related courses. 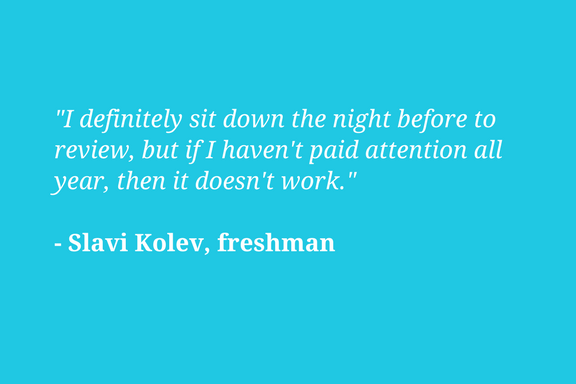 Freshman Slavi Kolev, an electrical engineering major, also doubted the effectiveness of cramming. Many students did not believe that two reading days, excluding the weekend, were enough time to review material when students at other schools received a full week. Freshman Nicholas Leira, a biomedical engineering major, said he would probably manage to study four hours for each of his finals between his other commitments. “I’m too busy — I have a job and stuff,” said Leira, who works as a security assistant in the residential colleges. Biomedical engineering classmate Edugie Osunde said he planned to spend more time reviewing for each final – physics, biomedical engineering and calculus. Finals begin on May 3 and end on May 10, during which the Richter Library will be open 24/7. Both Starbucks locations will have extended hours: the student center location will be open until 2 a.m. for reading days and the first week of finals (May 1-7), and the Richter location will be open until 11 p.m. until May 5 but but will be closed on the weekend. Einstein Bros. Bagels at the School of Law will be open until 11 p.m. on weeknights and 10 p.m. on the weekend through May 9. In the Princeton Review’s 2016 rankings, UM was also included on the following lists: The Best 381 Colleges, Best Southeastern, Green Colleges, Is That a Dorm? (worst on-campus residential experiences) and Lots of Race/Class Interaction.